Manual door model for surgical departments and small central sterilisation departments, with 5 washing levels and connection for washing and disinfecting tubular instruments. Large variety of baskets to wash and disinfect all kinds of surgical instruments, including the tubular ones. 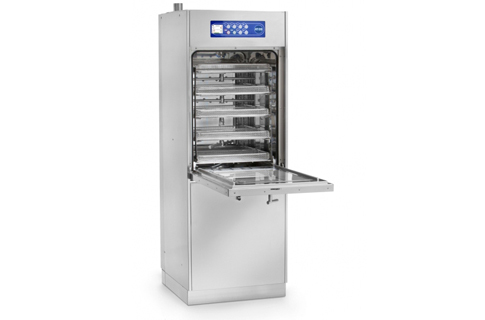 Floor mounted instruments washer and disinfector with single door and plinth. 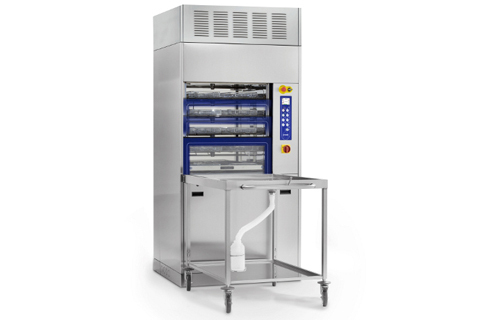 Wash chamber in AISI 316 L, capacity 450 L. Load capacity: 15 baskets (3 for each level). Possibility to get a trolley with load capacity up to 18 DIN baskets.